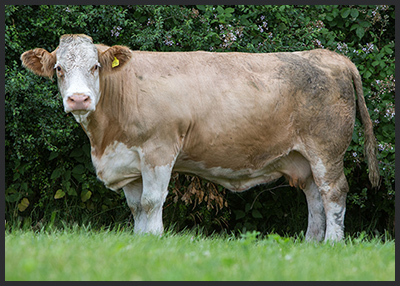 The Simmental herd was established in the early 1980’s with the purchase of Cloford Krone 3rd and Alderesey Finette, the latter of which calved the night she came to Priorton. 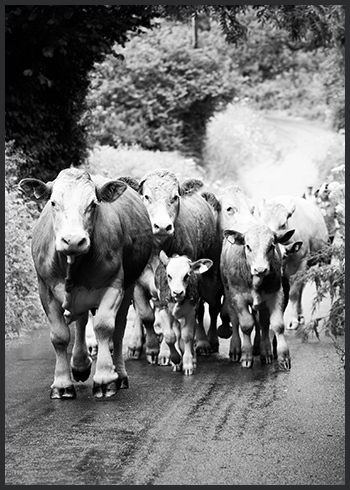 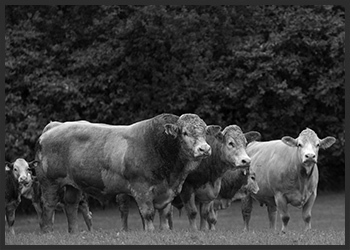 Further purchases were then made from Boddington Estates’ Sterling herd and Frank Baker’s Heywood Herd. 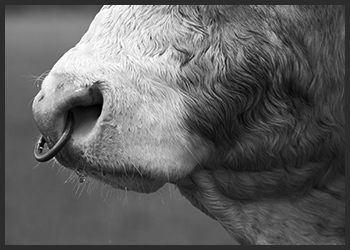 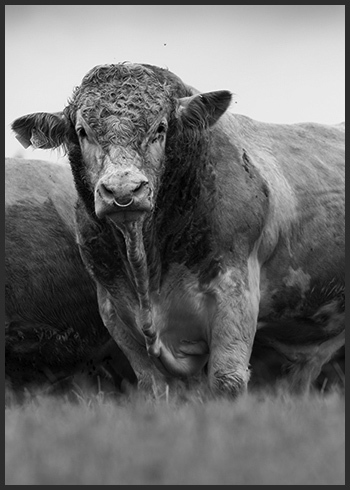 Having experimented a little at the beginning with AI, our first bull purchase came in 1984 with the arrival of Hockenhull Ruskin, bought at the Perth Bull Sales. 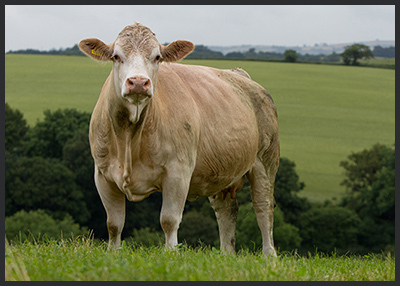 This ET-bred son of Overhall Hivy is out of the imported female Sage, a Herodes daughter and had power and backend and although perhaps not the biggest in the breed at the time, he stamped a consistent shape in to the herd. 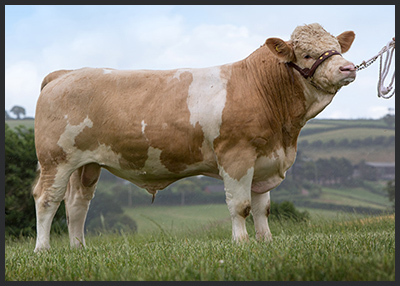 Next on the bull front was Dunninald Victor, Sire Scottish Neff Dam Dunninald Beauty a bull at the complete opposite of the spectrum as Ruskin. 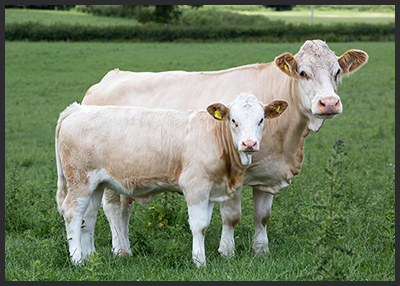 Chyanhalll Dickens, bred by Penny Lally, Riversmeet Flare, from Martin Boucher and Broomhill Farm Prestige, from Ian White have been subsequent herd sires. 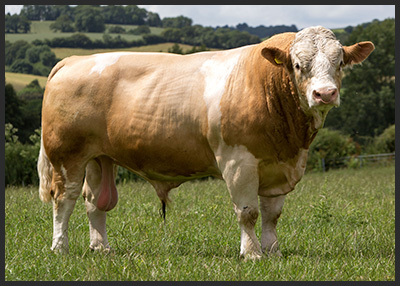 The current Senior Stock Bull, Loxton Barnaby, a Crackley Talisman son out of a Tywford Roger daughter, is the sire of promising stock currently on the ground. 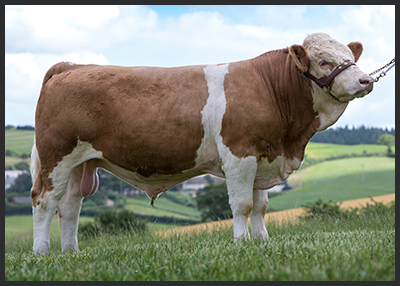 We went back to Martin Boucher for the new herd sire for 2014 and purchased Loxton Cavalier. 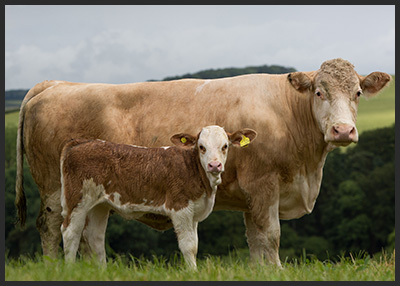 Sired by Glenturk Rolex out of Atlow Topaz, the first of his calves on the ground look very exciting.